It was $5 to add a house salad. 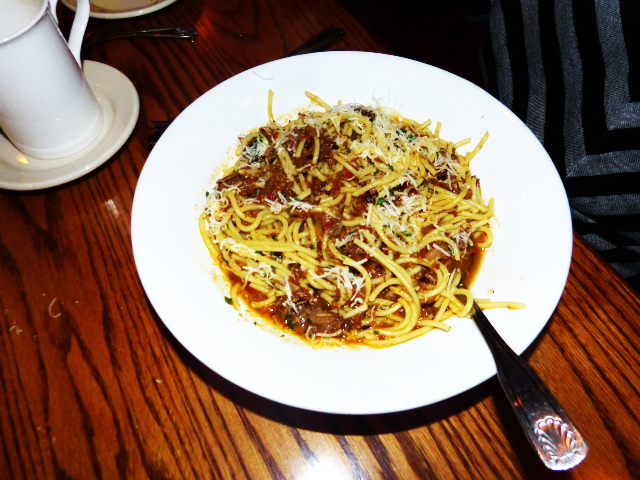 Ragu with duck over gluten free spaghetti. 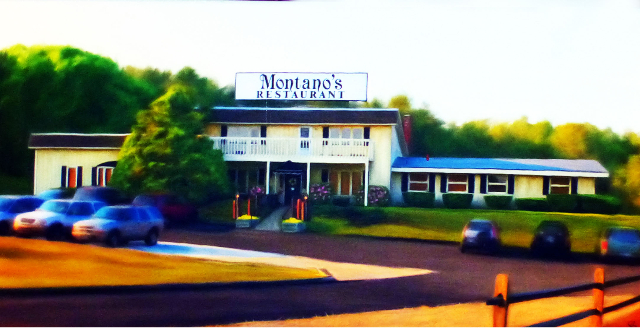 On a Wednesday night we joined a mob of local diners at the large and popular Italian restaurant Montano’s. 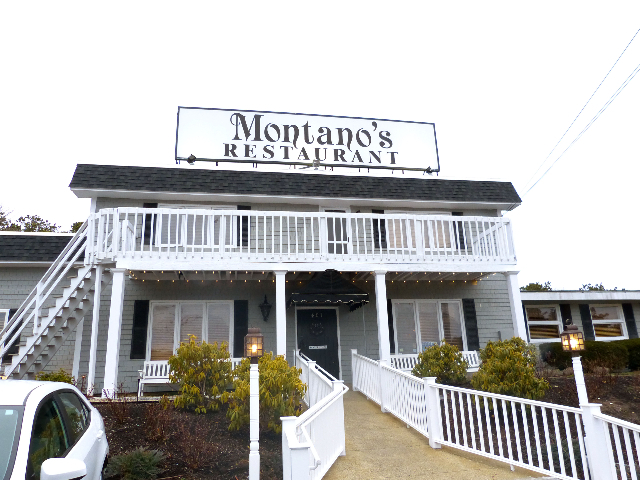 Located on Route 6 it is a short drive from Provincetown with the enormous advantage of ample free parking. We arrived at 6:30 PM just a bit late for the early bird specials from 4:30 to 6 PM. It was, however, pasta night with all of the home made pastas and delicious, long simmered sauces at just $13. There was a long list of tempting offerings making for tough decisions. 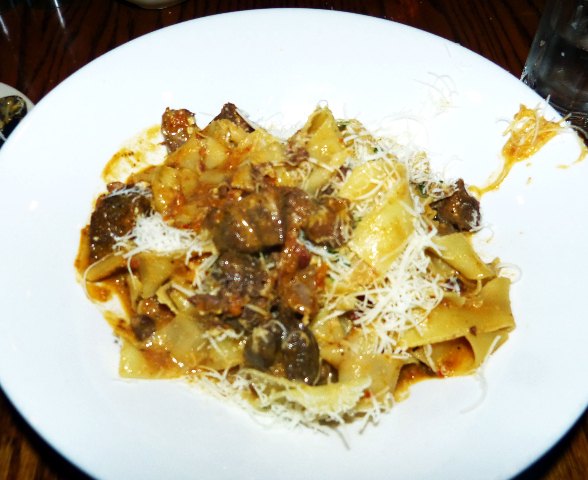 I opted for the boar’s meat ragu over house-made, wide strips of pappardelle. It was full of chunks of meat and the serving was so ample that I took home half for a tasty lunch. Trust me, it is a rare occasion when I do not finish a meal. Mostly, I wanted the exotic experience of boar’s meat. What I tasted was tender and flavorful but difficult to distinguish from beef. Similarly, Astrid had difficulty isolating the flavor of the poultry in her serving of pappardelle with duck ragu. Since she ordered it gluten free, for an extra dollar, her pasta came as spaghetti. 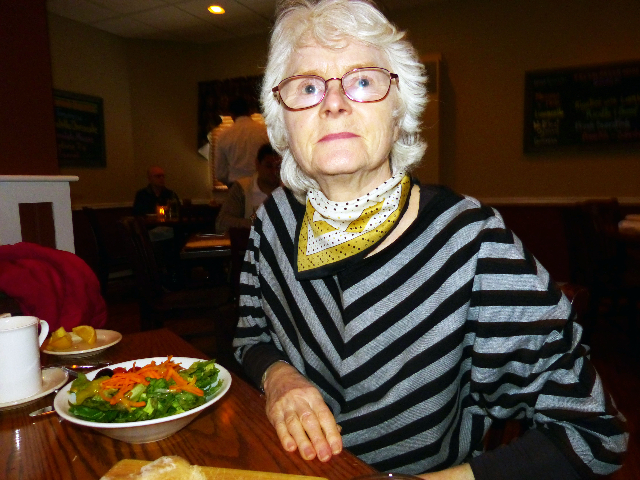 In general she loved the dish and took home half for lunch. 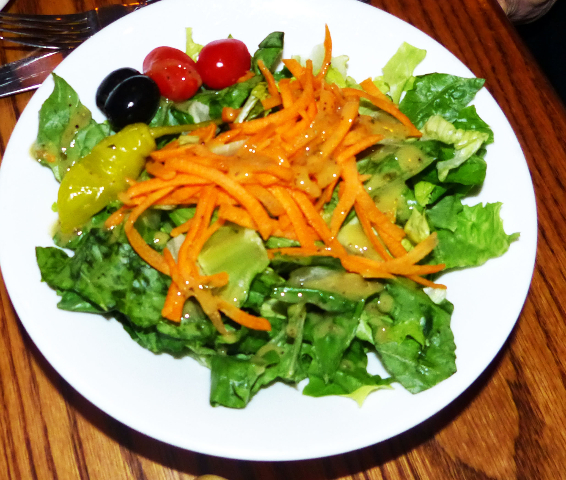 For an extra $5 we opted for the generous, fresh but undistinguished house salad. On other nights the norm for our dishes is $20. So, with salads, we dined for $18 each. Considering that we ended up with leftovers, first there was the discount, and then the added bonus of buy one get one free it was such a deal. And the cuisine was authentically alla casalinga. Next time we will arrive in time for early bird specials. Given the quality of fine ethnic food at attractive prices it is easy to see why large groups of friends assemble for family style dining.